The Course is intended for Orthodox believers who are willing to get wider knowledge on such issues as the foundations of Orthodoxy and Orthodox spirituality. It is appropriate to those believers who have already acquired certain experience in the life of the Orthodox Church and regularly go to church and take part in the worship, the sacraments and the other ecclesiastical activities but who feel that they need a theological explanation of their faith and of spirituality with which the Church for centuries has been nourishing everyone who seeks the Truth. 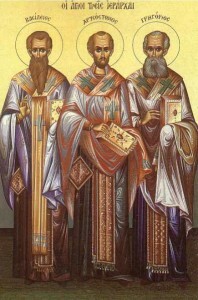 Let us mention that the theological considerations on the issues of Orthodox spirituality have not only theoretical but also practical value where the following challenging issues are subject to learning: 1) what is man, 2) what is man’s sensual and spiritual world, and 3) in what way the believers practiced their Orthodox spirituality in the past and how they do this today. a) In the first semester, mainly the issues of anthropology in its Orthodox perspective are considered. Without rightly dealing with the issue of man and the way Orthodoxy sees him, there can’t be a right understanding about what Orthodox spirituality is. This is why during the semester classes spirituality is considered in its connection with the physical, sensual and spiritual aspects of human personality. This approach requires that links are made between spirituality and the psychological aspects of man. This also means that in class we are going to deal with some issues of Orthodox psychology. b) In the second semester, the issues of Orthodox church life and its links with Orthodox spirituality are dealt with. The theological explanation of these issues can help the believers to widen and deepen the knowledge and experience they have acquired in their ecclesiastical life in the parish, especially the experience of participation in the worshipping ministry of the Orthodox Church and in the prayerful life of the believers. In this way, the Orthodox could better realise and internalize their ecclesiastical life and their spirituality in the course of everyday life and in the spiritual struggle in the Orthodox Church. c) The third semester focuses on the issues of Orthodox spirituality in the light of the contemporary challenges which the secular world addresses to the believers. Orthodox spirituality is considered as a dynamic process in human life and in the person of every human being where in the everyday life people can experience both rise and decline of their spiritual and physical forces, they can come closer to the fulfillment of the commands of the Gospel or they can depart from them – all these may occur in the lives of the believers when the daily troubles of life come to prevent them from practicing their Orthodox spirituality in the right way. In this semester, similarly to the first one, attention will be given to Orthodox psychology which attempts to explain such subtle aspects of human life as deception and self-deception, mysticism, self-identification with people and objects, etc. The concluding Course lectures try to show what is the link between faith and society and between the urge in achieving even higher stages of Orthodox spirituality and the challenges the modern state addresses to the believers.